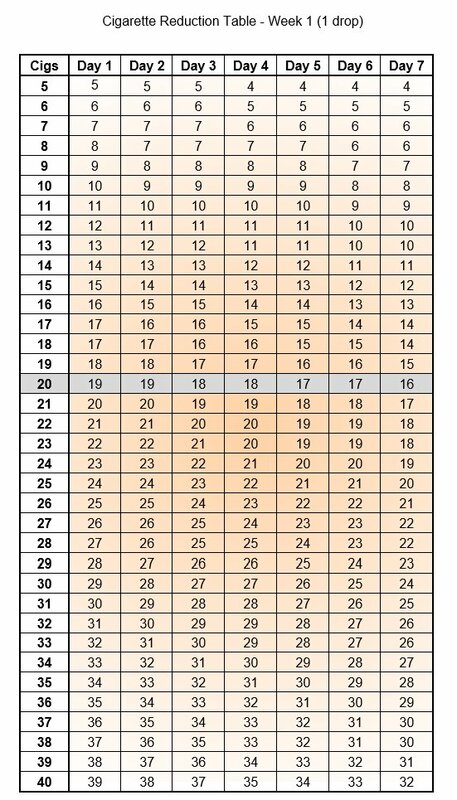 Look up the number of cigarettes/day that you currently smoke before using NicoBloc down the left hand column and read off your smoking goals for each day in the first week. Thereafter use the online Wean Machine or the Manual Target Setting Guide. To download a PDF version of this chart, click here.